You can easily fit a road trip into a day from either Brasov or Bucharest. There are several hotels located on the Transfagarasan route if you wish to spend more time there. The Transfagarasan road Romania was built in the early 70’s under the rule of former Romanian dictator, Ceausescu. It was built as a strategic route to be used if the Soviet Union were to invade Romania, which they never did. The road passes the Fagaras mountains in between the towns of Cartisoara and Bascov. The total length of the road is 90 kilometers. The most picturesque part of the road are the curvy roads which ascend from Cartisoara to the mountains, as a result this is where you’ll see most Transfagarasan pictures. After ascending the curvy roads from Cartisoara there is a beautiful lake and waterfall. Balea Lake is a glacier lake and at over 2000 meters in altitude it’s the highest lake in Romania. For this reason, you can make some wonderful reflection photography here therefore some Instagram-worthy shots. During the winter there’s an ice hotel located next to the lake, the first of its kind in Eastern Europe. Additionally, you’ll also find a couple of chalets if you want to stay over. These chalets are open year round but the road is not. During the winter months you must access Balea Lake by cable car. Furthermore, there’s free parking close to Balea Lake as well as food stalls. 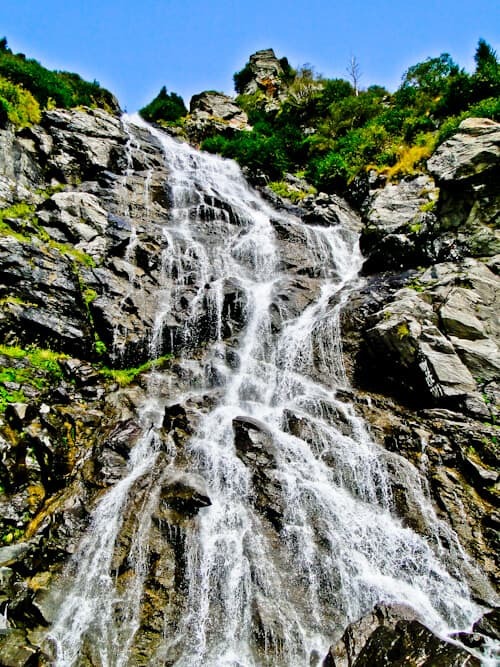 As you are driving from Cartisoara to Balea Lake you’ll pass by Balea Waterfalls. These falls are at an altitude of 1234 meters and drop 65 meters. They’re not the most beautiful falls in the world but definitely worth a photo as you are ascending the Transfagaras mountains along the curvy roads. All things considered, the Balea Waterfalls are a popular stop on the Transfagarasan Road Romania. The Transfagarasan Road Romania has more tunnels than any other road in Romania, in fact, there are 5 tunnels. 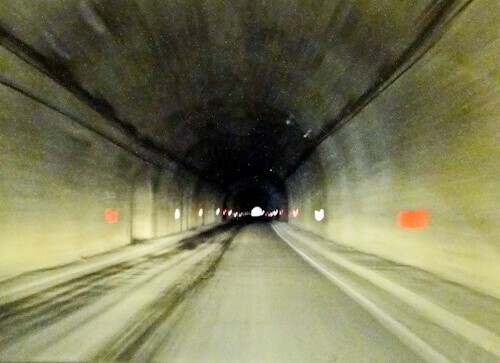 The Balea Tunnel is the longest tunnel in Romania at 884 meters in length. These tunnels were built by the military under terrible conditions. Many junior personnel who had no experience with dynamite risked and lost their lives during construction of the road and tunnels. The Vidraru Dam was built in the 60’s before the Transfagaran Road existed. 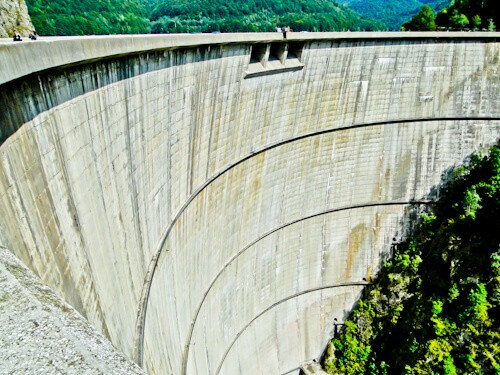 As a matter of fact, when it was first built it was one of the most significant dams in the world. Nowadays however, it’s just another dam! Because the dam was built during the cold war there were some safety precautions put in place. If the dam were to be bombed or damaged then the water would flood the nearby cities. For this reason dynamite is placed in the mountains further down the valley to blow up the mountains and block the water in case the dam is destroyed. 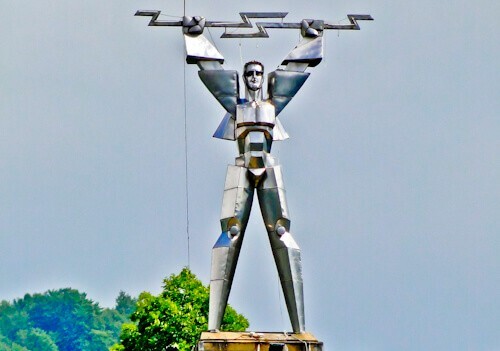 Overlooking the Vidraru Dam is a statue of Prometheus holding a lightning bolt. It was designed by Constantin Popovici and erected in 1965. It’s possible to climb the statue (via a staircase) for panoramic views of the Vidraru Dam as well as the lake. Unlike Bran Castle, Poenari castle is the real Dracula’s Castle. Poenari Castle is now a ruin but still worth a visit. There a 2 good reasons to visit it, the first is to get some exercise by climbing the 1480 stairs to reach it. The second reason is to be able to say you visited the real Dracula’s Castle. Vlad the Impaler who lived in the castle is believed to have inspired the 1897 novel, Dracula written by Bram Stoker. According to Jeremy Clarkson of Top Gear, the Transfagarasan road makes for the worlds best road trip , Enjoy! You can easily hire a taxi or take a tour through the Transfagarasan route from Bucharest or Brasov. The route is open from June to September, during winter it is closed. Check out what to see and photograph in Bucharest and Brasov. First of all, I can see why it has been named as the world’s best road trip. That curvy road alone is going to be one amazing experience! The views are spectacular too, especially the lake and the waterfall! Reading through the post, my eyes and mouth were wide open, all these beautiful sights all for a road. 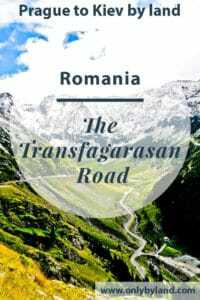 I’ve never heard of Transfagarasan road but I couldn’t agree less that it is popular. 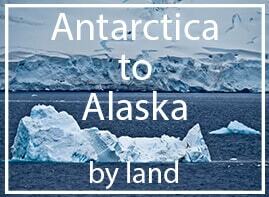 It is a beauty to behold from the curvy road, the glacier lake, and to the Prometheus statue. The Romananians are bunch of intelligent people, if at all the SU tried invading, it would be a tough time for the latter. I’m yet to visit Romania, but I like how you’ve written about somewhere completely off the map for me! I’m no fan of Jeremy Clarkson, but I can understand why he called it the world’s best road trip, those curves are incredible! I’d like to see the real Dracula’s Castle, even if it’s in ruins. Those 1480 steps don’t sound like too much fun however! 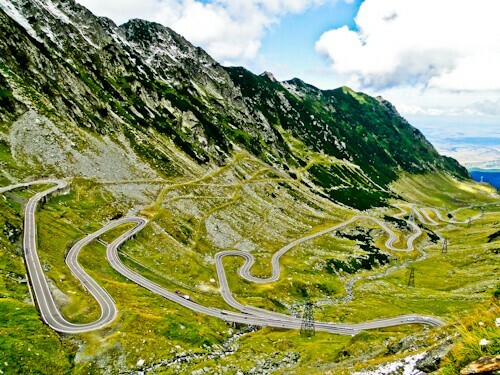 The Transfagarasan Road does look like an amazing road trip. The waterfall is lovely and the curvy section definitely catches your attention. So interesting about the dynamite set to blow up mountains in case of a dam bombing. So much to consider when you are building in a time of potential war. Sounds like a cool road trip. I suppose you have to rent your own car to experience it best. I love the gorgeous glacier lake and waterfall, plus another castle to explore! 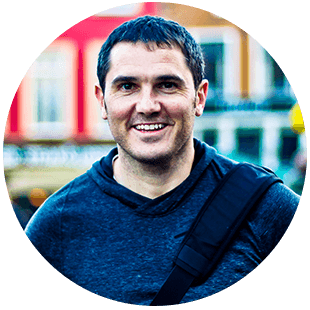 Really cool post and great tips. Romania needs to be re-visited for me. Transfagarasan route from Bucharest or Brasov sounds like a great road trip and there is so much to see along the way. That famous curvy road looks fun and scary at the same time. I went to Romania years ago and I really want to see Poenari Castle but it was winter and to dangerous to go up there. I would love to go back and see it. It is very cool that you go to though. I’ll take Jeremy Clarkson’s word for it! Your pictures and prose certainly attest to the beauty of this route. I can’t believe it’s so winding plus there are so many interesting places along the way. I would definitely want to check out the real Dracula castle. Really this road trip is most wonderful road trip of the world. Balea waterfalls and glacier lake cannot be expressed in words. This place is truly magical. Perfect for me as I am a mountain lover. Would also love to see that Prometheus statue. Beautiful post! That is a darn busy 90 Kilometers. I just drove I-8 today from San Diego to Tucson (about 660 Km) and I didn’t see half of that. In fact the highlight of my trip was stopping for a date milkshake. This road looks like it would make a beautiful bike ride. I imagine if they didn’t safely blast the tunnels then they probably didn’t plan a good bike shoulder. I wonder if there is a day just before it opens for cars that you can bike on the empty road. The Google machine says this is a good ride so thank you for putting it on my map. I 100% trust Jeremy Clarkson’s road trip recommendations! He has great taste for sure and I recognise this from the show! I love road trips and I’d absolutely have to do this if I got the chance! Wow, the curvy Transfagarasan road just got me, I’m not sure I could pronounce it though! This for sure looks like a thrilling road trip. I have done some amazing road trips in Cape Town but this definitely looks amazing. 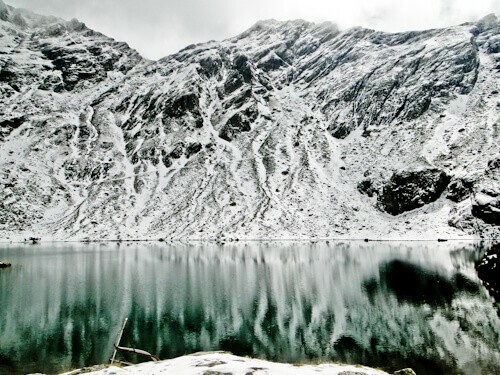 Balea lake at the top looks so picturesque. I’d love to go cycling or biking on that curvy road! Its just too picturesque! Vidraru dam reminds me of Nevada dam. Are they comparable in reality? That’s a weird looking statue. A whole metal statue that can be climbed? First I thought its a bit scary, but then, so is Atomium! This looks like a road trip of a lifetime; is that the dam from the Goldeneye James Bond movie?! It’s a true spectacle. Awesome that there is so much gorgeous scenery too, Balea Lake and Waterfalls are stunning- great for Instagram! It’s no surprise that Top Gear call it the best road trip ever, that road is one of a kind! These Transfagarasan road photos are absolutely gorgeous, how beautiful! I would love to take the worlds greatest road trip. The scenery looks to die for, especially the winding road through the mountains and Balea Lake. I had never even heard of the Transfagarasan road. This road trip looks so much fun with lots to see. I will definitely have to do Romania whilst living in Europe for the year soon.